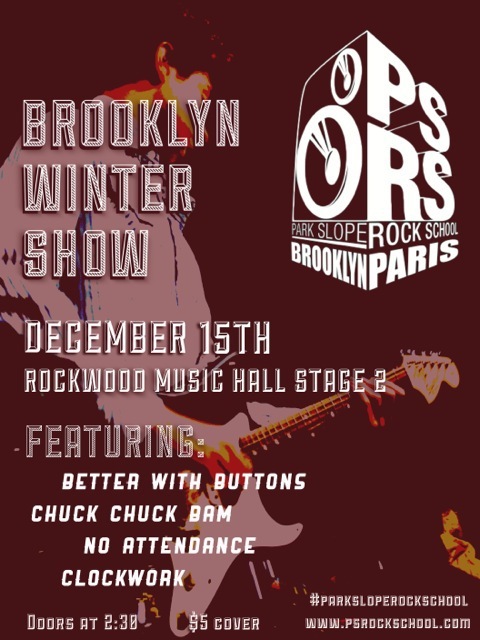 Our Brooklyn bands took the stage on December 16th to show off all their hard work. They sounded awesome! Thanks as always to friends and family for packing the house and to Rockwood Stage 2 for providing one of the best venues in New York City. And thanks to Spencer Lee Gallop for the great photos!